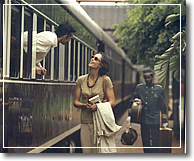 Railtravel.co.za is owned by KDA Travel & Tours, a tour operator with the experience to handle all travel and tour requirements throughout Southern Africa. Our expertise covers anything from corporate incentive travel, to conference groups, to sports and golf tours, to leisure holidays for individuals, to safari and game lodges, to general day tours and much more! 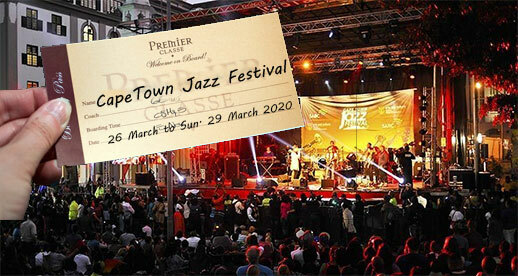 So instead of just booking your train booking with us, let us put your full South Africa itinerary together. We will offer advice on where to go what to see and tailor make something to suit your interests and match your budget requirements. As a registered South African Tour Operator we have negotiated rates with most tour services and establishments around the country and in most cases will be able to offer you a more competitive rate on your South Africa experience than if you went directly through to the suppliers and venues yourself. Send your South Africa travel requirements to - maritsa@kdatravel.co.za or complete the below enquiry form. Please remember to give as much information as you can including standard of hotel/ lodges required, what sort of activities you would like to do, what you would like to see while you are here and your interests. South Africa has many standards of accommodation so let us know what the budget for your entire trip is and we can work around that. We look forward to hearing from you. Includes 6 nights at 3* hotels in Vienna, Prague and Salzburg, Flights, breakfast and rail tickets. Traversing South Africa's varied landscapes along four alternative routes, the train combines all the comfort and luxury of a five-star hotel with a globally unparalleled journey. Rovos Rail, the most luxurious train in the world. Capture the romance and atmosphere of a bygone era. Experience the magic and mystery of Africa in a relaxed and elegant fashion. 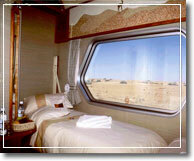 Desert Express was designed and built in Namibia and has been winding through our beautiful country since 3 April 1998. Burnt amber upholstery, rich golden-red woods and animal motifs are just a few ways to tastefully echo the landscape through which you travel.